We had four days in Durban, South Africa. A room full of experts and one goal: to draft a global strategy for the conservation of manta and devil rays. What a challenge, yet what an amazing opportunity too! In June 2014, the IUCN Shark Specialist Group and the Manta Trust, supported by the Save Our Seas Foundation, brought together 20 experts on devil and manta rays to create the basis for a global conservation plan of action. Their workshop followed the Sharks International Conference held in Durban the week before, which made it easier to call in the experts from the field and assemble them at one venue. Insights from projects around the world, ranging from community work in Peru to tagging research in New Zealand, were used to define a vision and three strategic goals. Sustainability. Devil and manta ray populations are to be maintained at, or recovered to, ecologically sound levels by managing fisheries, trade and demand. Knowledge. The knowledge required to appreciate devil and manta rays and sustain their populations is to be created, communicated and applied. Appreciation. Educated and engaged communities support, and benefit from, the conservation and management of devil and manta rays. At the Manta Trust we have made it our mission to strongly support this strategy, making use of our network of projects to achieve the required results. Our work in more than 16 different countries across the globe focuses on advancing the worldwide conservation of manta and devil rays and their habitat by means of robust science and research, raising awareness and providing education, influence and action. As the head of conservation strategy, I have the responsibility to coordinate these activities as well as oversee the Manta Trust’s own strategic plan for the coming years – a very exciting job indeed! So what’s been happening in the field already? The Global Mobulid ID Project – now well under way – directly supports the first goal of the strategy: to address the challenge of managing fisheries, trade and the demand for devil and manta rays. 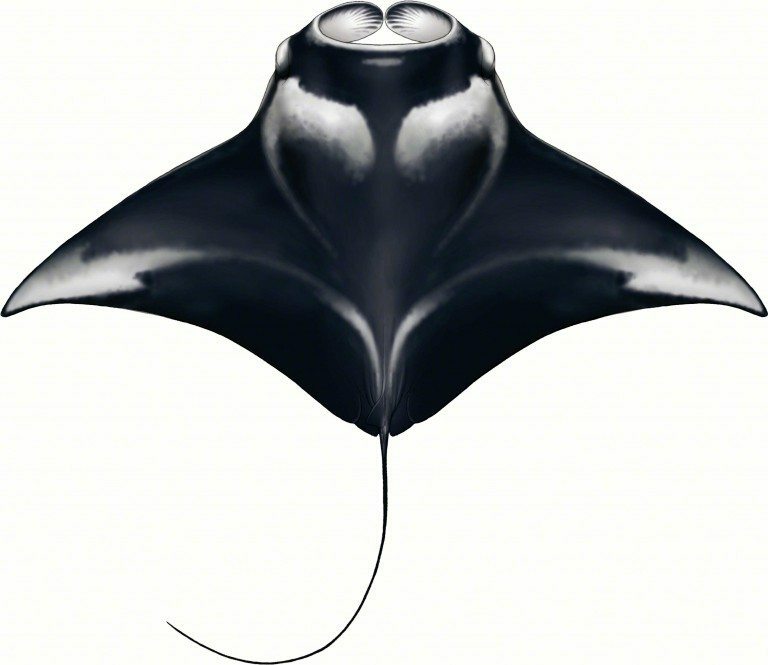 This project, led by the Manta Trust’s associate director Daniel Fernando and funded by the Save Our Seas Foundation, aims to create a comprehensive taxonomic, morphological and genetic identification guide for all manta and devil ray species (which together are known as mobulids). Information about the biology and ecology of mobulids is limited, but the rapid increase in fishing pressure due to the global trade for their dried gill plates – which manta and devil rays use for feeding – makes it imperative that we learn more about them if we are to protect them. A first crucial step to gaining knowledge about mobulids is to identify individual species – and this is remarkably difficult. That’s where the ID guide will come in. During 2013, all manta ray species were listed on Appendix II of the Convention on International Trade in Endangered Species (CITES). In the approach to the deadline for implementing this CITES listing, and during the months following, the ID guide will be particularly important for managing and monitoring trade in manta products. In future years the guide will also be useful in supporting the listing of additional devil ray species on international treaties, such as CITES and the Convention on the Conservation of Migratory Species of Wild Animals. A closer look at our operations in India shows project leader Mohanraj working hard to address the second goal: to generate the knowledge required to sustain and appreciate devil and manta rays. India, the world’s seventh-largest country by geographical area and the second-most populous country, has a coastline that measures more than 7,500 kilometres and includes the island chains of Andaman, Nicobar and Lakshadweep, where both manta and devil rays occur. The mantas of India are severely threatened by local fisheries and receive no local or national protection as yet, so every day for the past two years Mohanraj has been collecting information about the landings of manta and devil rays. Representing one of the most detailed databases on the local fishery of manta and devil rays, his work not only demonstrates the severity of the threat, but also provides insight on trends and seasonal peaks in landings, which is important information for ensuring that conservation management measures in this region are effective. The Indonesian Manta Project, which is led by Sarah Lewis and focuses on collaborating with local people, supports the third strategic goal: to see that communities educated about mantas and engaged in protecting them also benefit from their conservation. The project aims to merge the biological and social sciences, contributing not only to the ecological aspects of manta conservation, but also to the understanding of the social factors that drive manta fisheries. In partnership with a number of NGOs and the Indonesian government, Sarah has begun working in Lamakera, one of Indonesia’s largest manta fishing communities. In addition to arranging meetings and discussions with local people, she set up a film-screening event that has been created, organised and executed by world-renowned conservation filmmakers Shawn Heinrichs and John Weller. The aim was to use art and storytelling to inspire local communities to be proud of their natural resources and conserve them. A huge outdoor cinema and a seven-metre inflatable manta, together with a small media team, were brought to Lamakera for the occasion, making it an exciting spectacle for the community. The overall response was very positive, but there are still many concerns as manta fishing is one of the community’s primary sources of income, as well as a large part of its culture. The project will continue to work very closely and respectfully with this and other communities over the coming months. Social science surveys will be used to carefully examine the communities’ situation, their views will be taken into account and options for alternative livelihoods and the non-destructive use of mantas, such as well-managed ecotourism activities, will be explored.